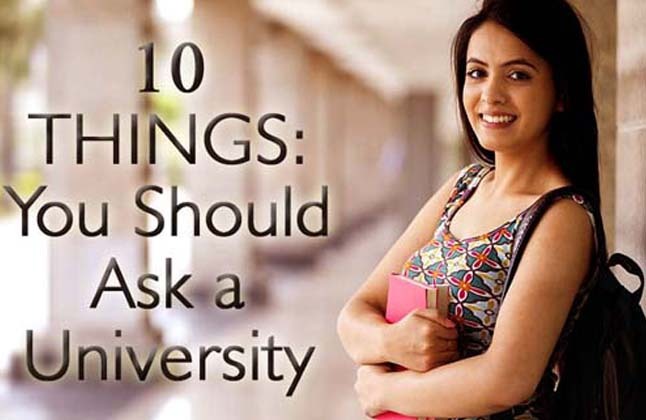 Not Sure what to ask a university? Don't waste this opportunity! Below are some things you really should enquire about when deciding where to study abroad. It can be easy to simply ask about the scholarship opportunities they offer. However, institutions receive hundreds of such enquiries. So your message won't stand out. The more unique or personalised your question or enquiry. The more likely it will resonate with the university staff member who reads it; it will be something different from what they see normally. There are a lot of other things you should be asking. Just think of everything that you would want to know about a university you might be studying at (especially one in a completely different from your own). Do you know what accommodation the institution offers? Is this accommodation on or off-campus? How expensive is this accommodation and what's includes? Are you guaranteed a place in on-campus accommodation in your first year? What support is there to find accommodation off-campus? "HOW IS THE COURSE TAUGHT?" "WHAT WOULD YOU STUDY SPECIFICALLY ON A COURSE?" Can you get some specific details on the material you'll be studying i.e. Specific authors or cases? How much dept would you go into? Do you get to choose the modules you take? Or is there a core curriculum which is mandatory for everyone? "WHAT'S THE LOCAL AREA LIKE?" "CAN YOU CONFIRM THE APPLICATION DEADLINES?" "WHAT'S THE INTERNATIONAL STUDENT BODY LIKE?" "WHAT HAVE PREVIOUS GRADUATES ON THIS COURSE GONE ON TO DO?" "WHAT SHOULD I STUDY IF WANT TO STUDY AT A HIGHER LEVEL LATER?" "HOW CAN THE UNIVERSITY HELP ME FIND EMPLOYMENT AFTER I COMPLETE MY COURSE?" Does the university have links to local, national or international industries or organisations? Are any of these in the same field as you're studying? Is there a careers department or service on campus? Are there are opportunities to complete work experience or practical work as part of your course? For complete information of Top universities in abroad, Contact Edwise International Overseas Education Consultants, on 1-800-200-3678 (Toll Free) / 08600911333.